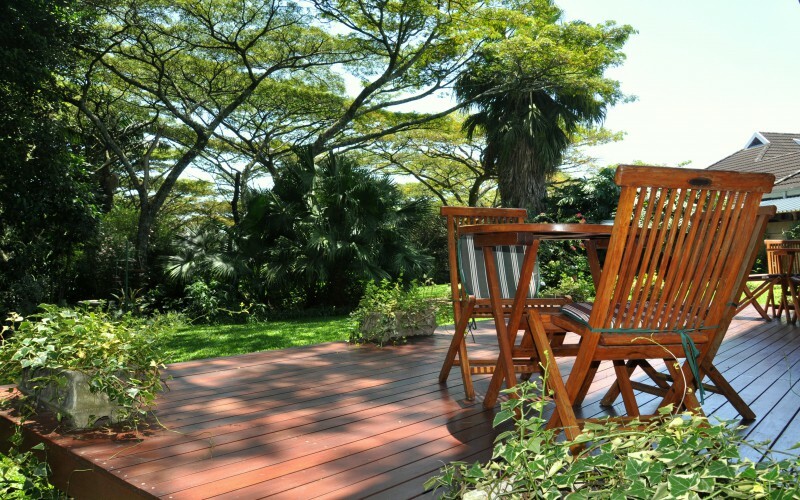 Tranquil setting on edge of indigenous forest. Park like garden. 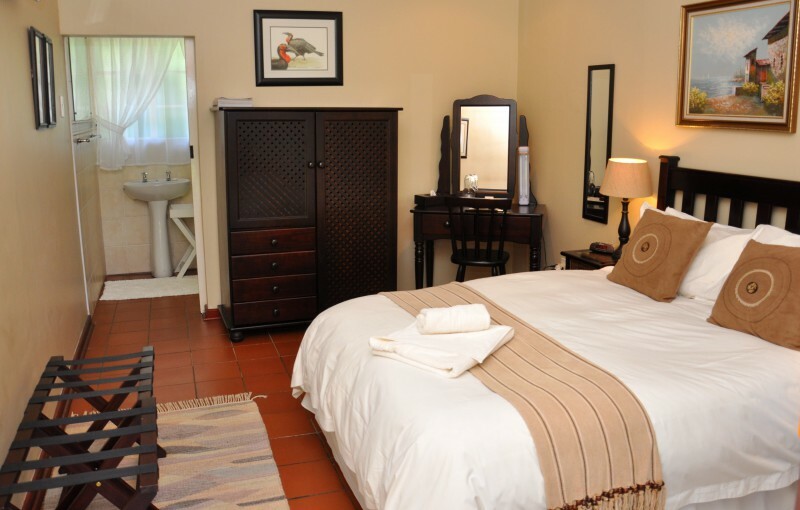 This upmarket guest house offers a secluded environment with a relaxed atmosphere. Spacious rooms are tastefully decorated. 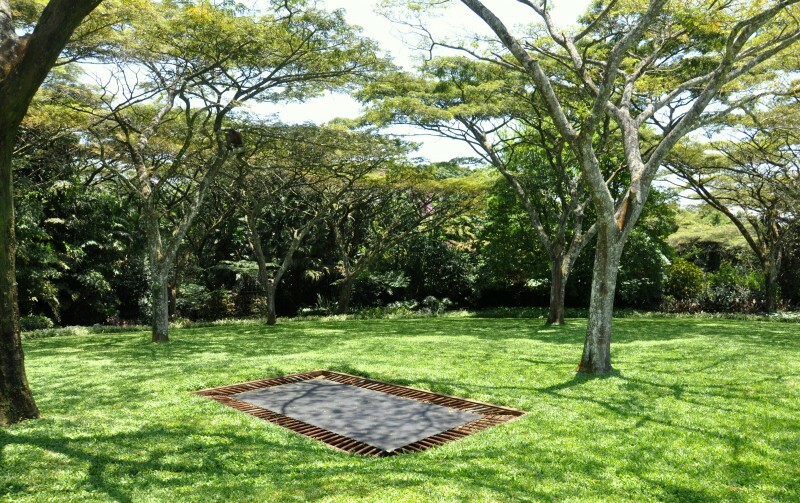 Birds of Paradise enjoys the quiet surroundings of a magnificent park like garden adjoining the indigenous Dhlinza Forest. 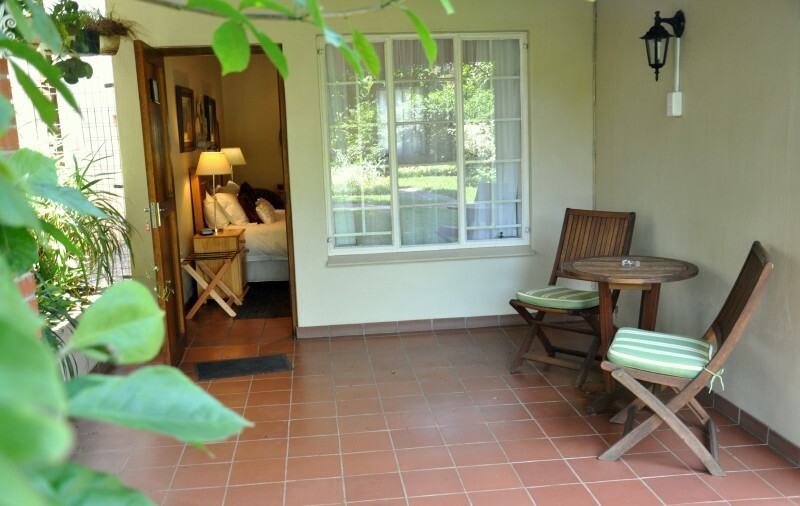 This upmarket guest house, offers, a private, secluded enviroment with a relaxed atmosphere. 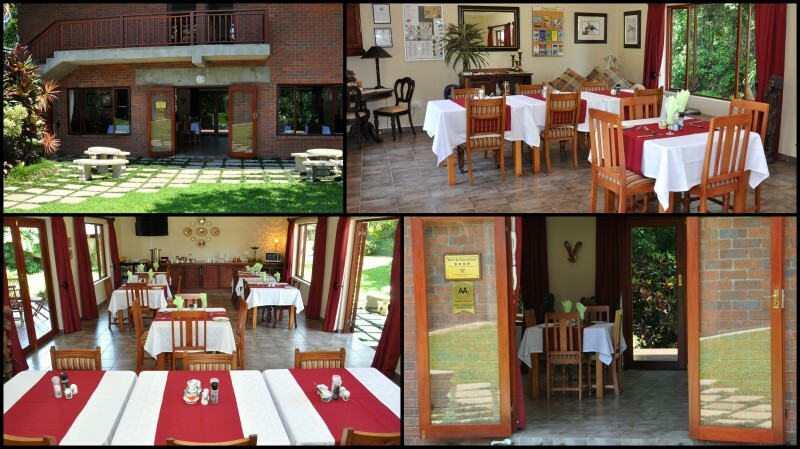 The private dinning room offers a great continetal and English breakfast. Dinners by prior arrangement. 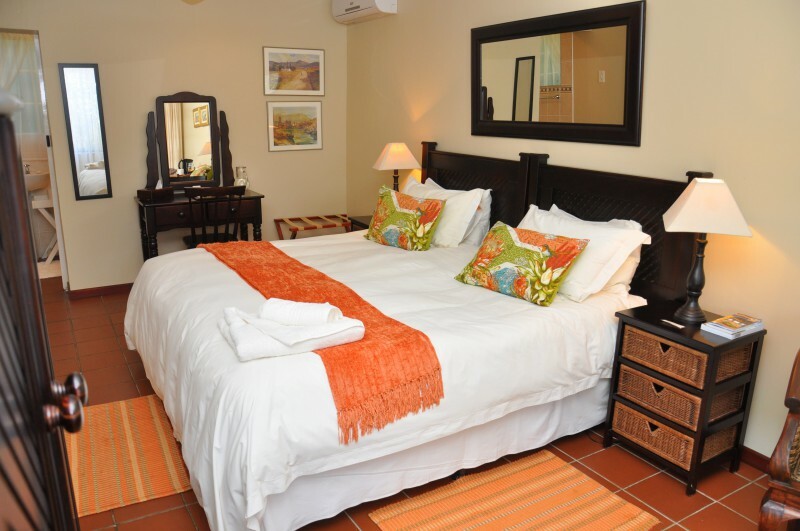 The rooms are spacious and tastefully decorated and are seperate from the main house, each have there own entrance. 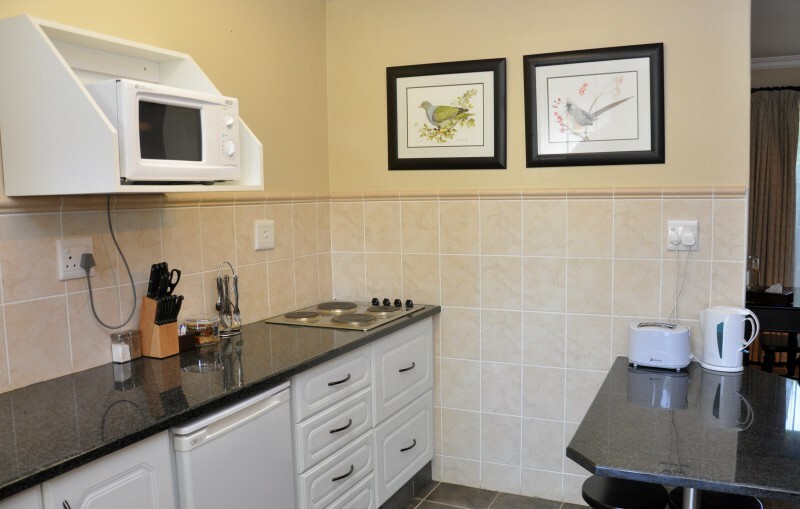 There are 8 comfortable B&B rooms and 2 self catering rooms, all non-smoking. 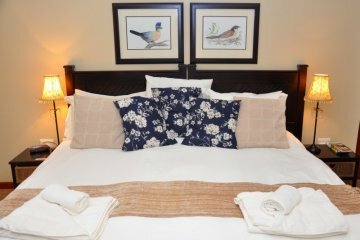 You can be assured of quality accommodation with comfortable beds, fitted with fine percale linen, fluffy towels and luxury amenities in the bathrooms. 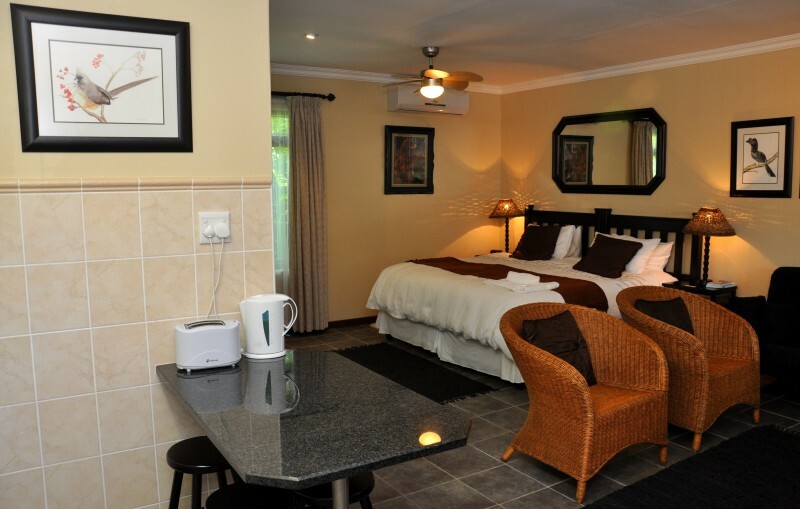 All rooms are en suite, with well stocked tea trays, DSTV, and fans and heaters are available for your comfort. 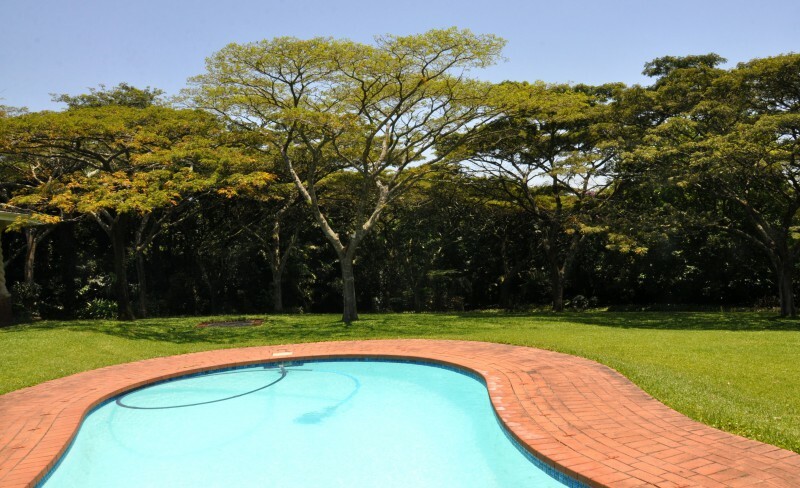 Our property is securely fenced and walled with electric gates and there is plenty of secure off road parking. 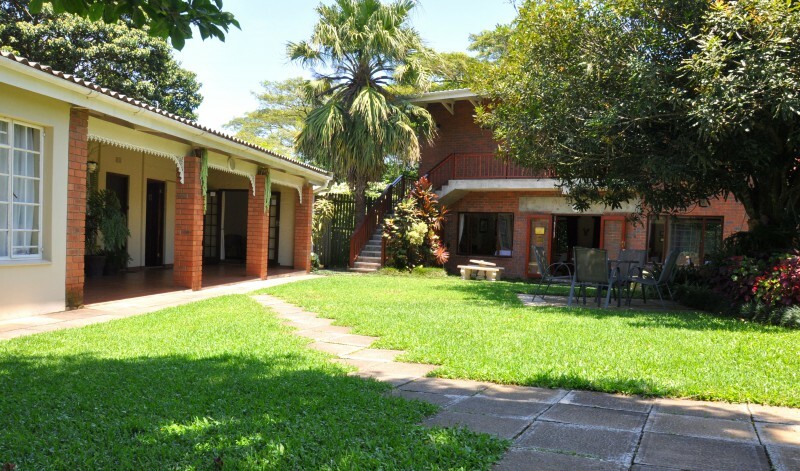 There are barbeque and laundry facilities and baby sitting can be arranged. 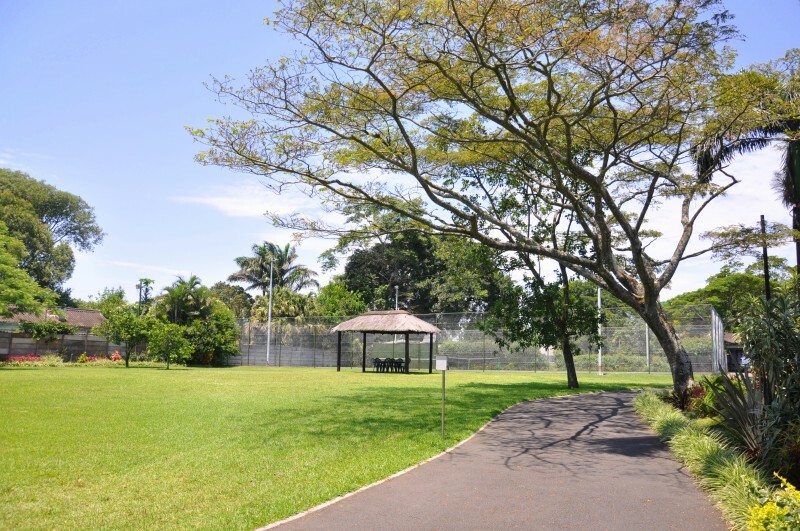 Our flood lit tennis court, trampoline and swimming pool are available for the young and energetic.